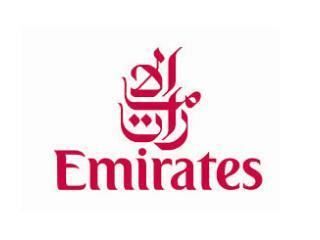 Emirates is a fast-growing international airline that has attracted over 400 excellence awards worldwide and boasts the youngest fleet in the sky. 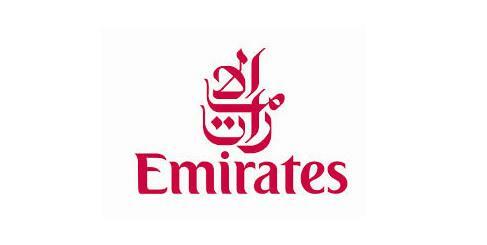 Emirates is also the largest operator of the Airbus A380 and Boeing 777 in the world. Teaming up with Qantas, Emirates will fly 14 times daily from Australia to Dubai and four other continents. This opens Emirates flights access to 33 European destinations including daily flights to London, Paris and Rome aboard the Airbus A380. Economy Class customers are permitted one piece of carry-on baggage that may not exceed 55 x 38 x 20cm and must weigh no more than 7kg. First Class and Business Class customers are permitted two pieces of carry-on baggage including one briefcase plus either a handbag or garment bag. Briefcases may not exceed 45 x 35 x 20cm; handbags may not exceed 55 x 38 x 20cm; garments bag can be no more than 20cm thick when folded. The total combined weight of both pieces may not be more than 12kg. Duty free purchases are also permitted in reasonable quantities for all service classes. Checked baggage allowances vary depending on class of travel, however Emirates have one of the most generous baggage allowances in the world. Itineraries which include North or South American destinations are subject to different baggage rules. North American passengers are permitted two bags of up to 23kg each in Economy Class, and two bags of up to 32kg each in First Class or Business Class. South American passengers are permitted two bags of up to 32kg each in all classes. One set of golf clubs and a pair of golf shoes may be checked in on any class of service free of charge however other sporting equipment that exceeds your baggage allowance is subject to normal excess baggage charges. Certain items such as ski equipment may also attract additional charges. Musical instruments must be handled as normal cabin or checked baggage or transported on a paid-for seat. Instruments that exceed your baggage allowance are subject to normal excess baggage charges.